Camping with Wombats in Australia! Dirty Drifters on ABC Great Southern AM Radio! Camp out beneath the stars in Western Australia’s most famous cattle station turned wilderness park, El Questro Station – the perfect base for exploring The Kimberley region. Our time spent exploring the famous El Questro wilderness park was some of the best in all Australia, truly a spot not to be missed. Amid the vast and ancient landscape of Western Australia’s East Kimberley region sits the untamed natural beauty of El Questro. El Questro is a destination unlike any other and offers the freedom to explore one of Australia’s last true frontiers. 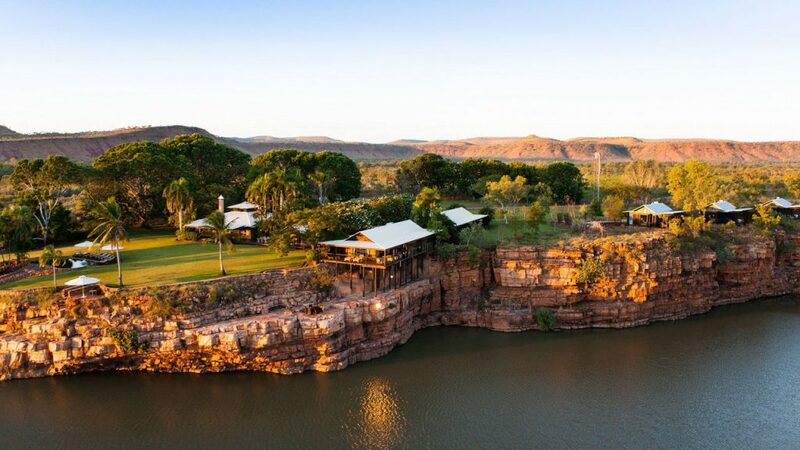 From deep gorges and majestic mountains to thermal springs, mud and salt-flats, rainforests and cascading waterfalls everything the Kimberley has to offer is located across the property’s 700,000 acres and is why we say that El Questro is the heart of the Kimberley. 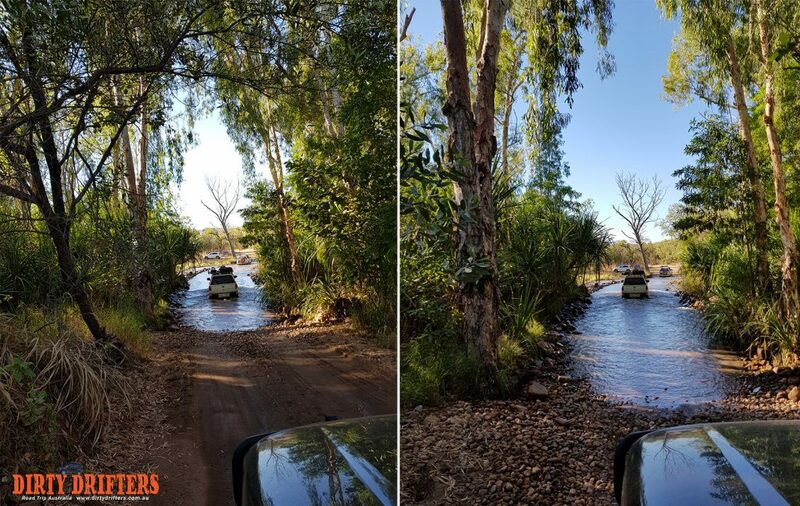 We arrived into El Questro Station in late May in 2018 with many miles already covered under our Land Rovers tyres, and the two of us well and truly adjusted to the ‘road trip’ camping lifestyle. 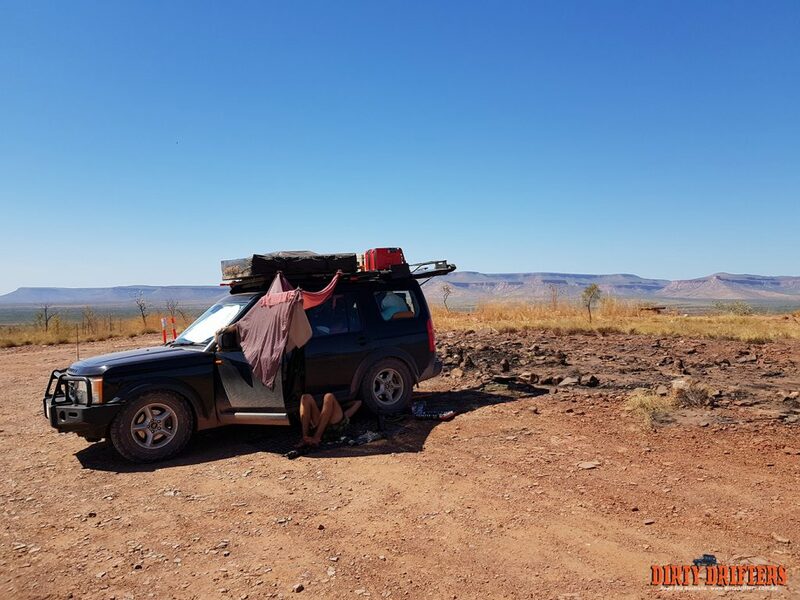 To give you some context, before we reached El Questro, we had already traversed across the Nullabor Plains from Perth to South Australia, up through the Flinders Ranges, Coober Pedy than onto Uluru and Alice Springs. After this, we hit the Tanami Track and crossed back into Western Australia for a quick stop into the Bungle Bungles before a slight detour back to Broome before we hit the Gibb River Rd which took us to El Questro. Tahnee and Adam at Cockburn Ranges Lookout, last leg of the Gibb River Road. We got up to a fair bit in El Questro, as there are many gorges and waterways to see. 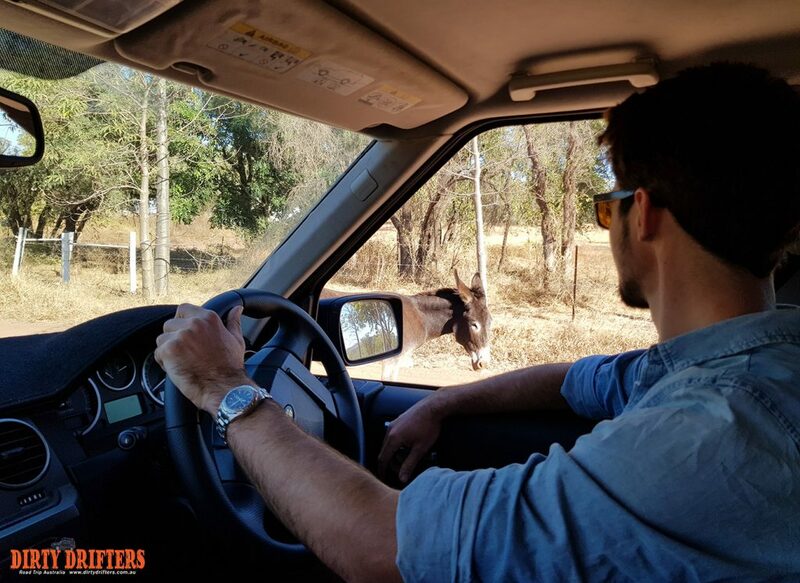 So rather than have one giant exhaustive article, we thought we would split up our highlights of El Questro into separate blog posts. 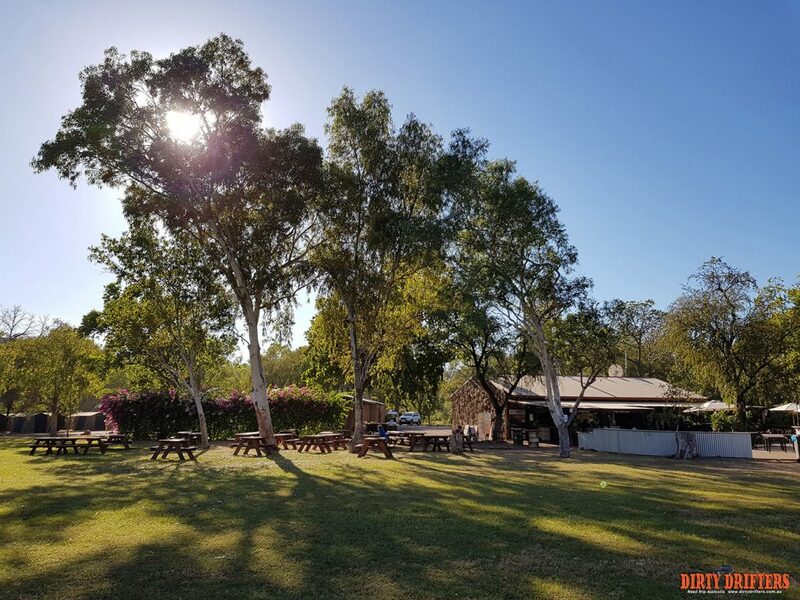 This is Part 1 in our El Questro Series, focusing on El Questro Homestead Station itself, which is the primary base for exploring the whole area. 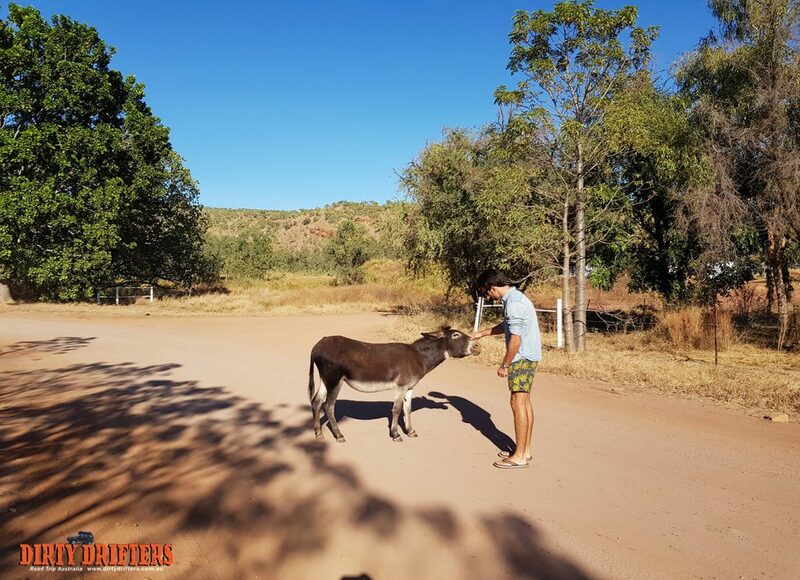 Scroll down to see our photos and camping experience at El Questro station. 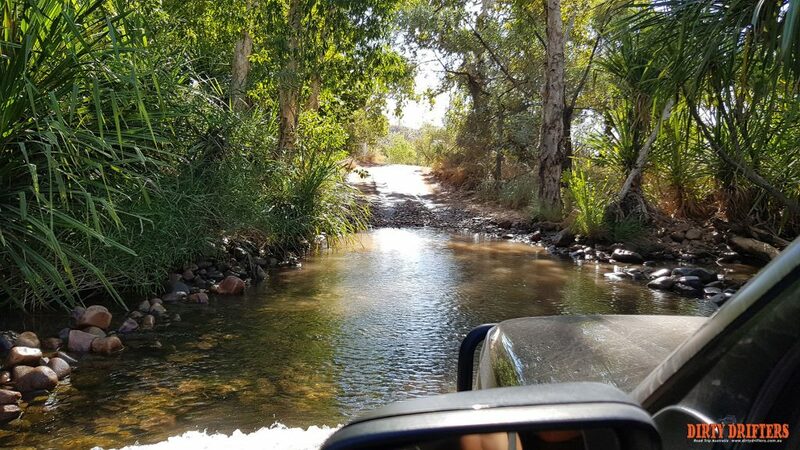 We entered El Questro Wilderness Park from the Gibb River Road, which is Western Australia’s most iconic 4wd track that takes you through the heart of The Kimberely and all its natural attractions. 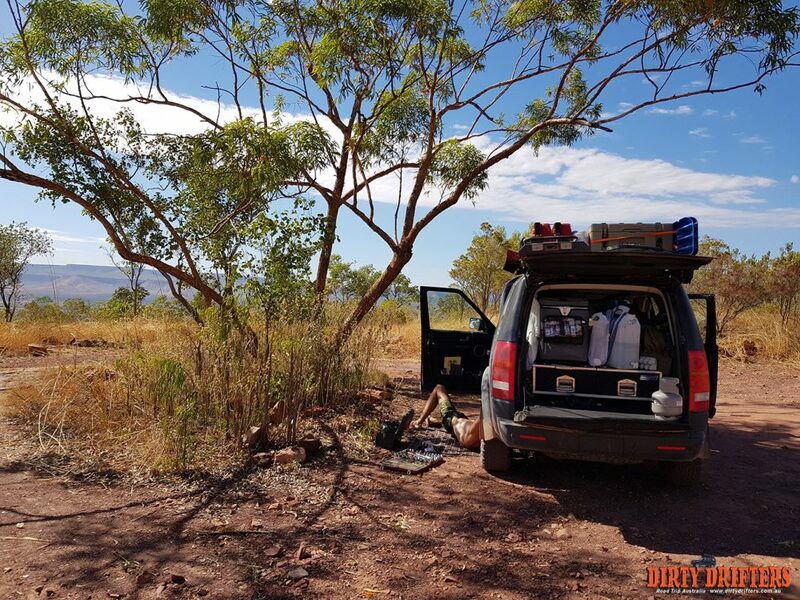 Unfortunately on the last leg of the Gibb River Rd, we had a run in with a large rock which flung up and smashed our air suspension compressor, hobbling our ability to increase the ride height and compromising our ability to cover rough terrain. As you can imagine, this was not ideal on all accounts and was the sole reason why we did not make the trip up to Mitchell Falls. 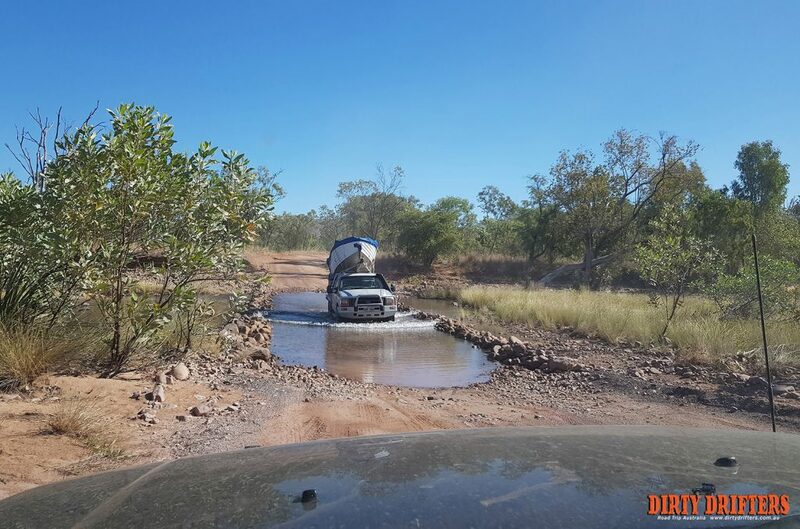 This became a regular sight for the last leg of the Gibb River Rd, after a rock hit our air suspension. Fortunately for us, Adam is a mechanical engineer who knows his way around the car. He had regular sessions under the Land Rover to patch the compressor back together and keep us going, thankfully we had a stout supply of cable ties and duct tape to assist! 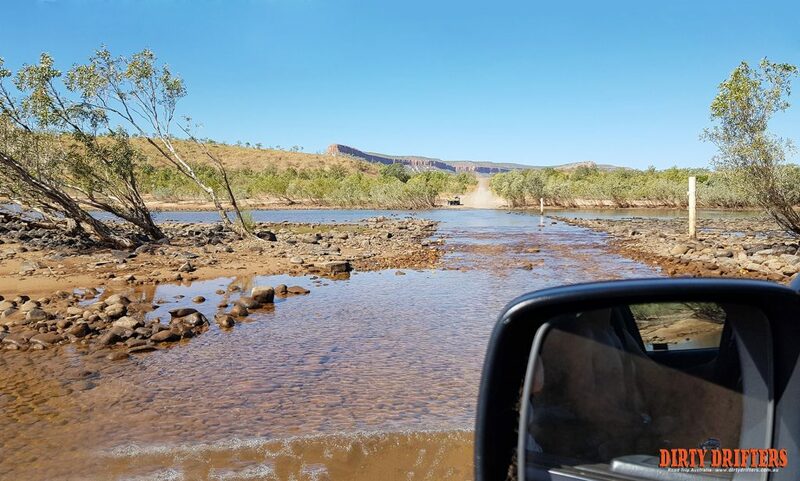 Yes, not ideal him having to do this – but hey, it was the only way we could finish the Gibb River Rd and get back near civilization to collect the replacement part we ordered! It was surprisingly busy at the Cockburn Ranges that day, so we weren’t too worried or isolated with our vehicle troubles. Many passersby’s stopped to make sure we were OK and not stuck – which was very nice of everyone! Adam with the Cockburn Ranges behind him. Adam had to get under the Land Rover again to repair our knackered compressor. 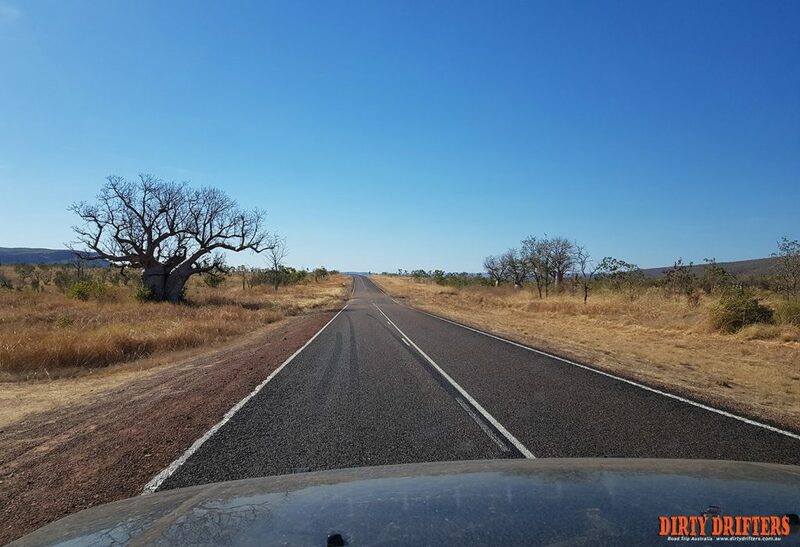 Knowing we had to wait a few days for our replacement part to arrive in Kununurra, and not wanting to miss out on El Questro Wilderness Park (which was our planned next stop), we decided to persevere with our limping car, despite its vulnerable state. 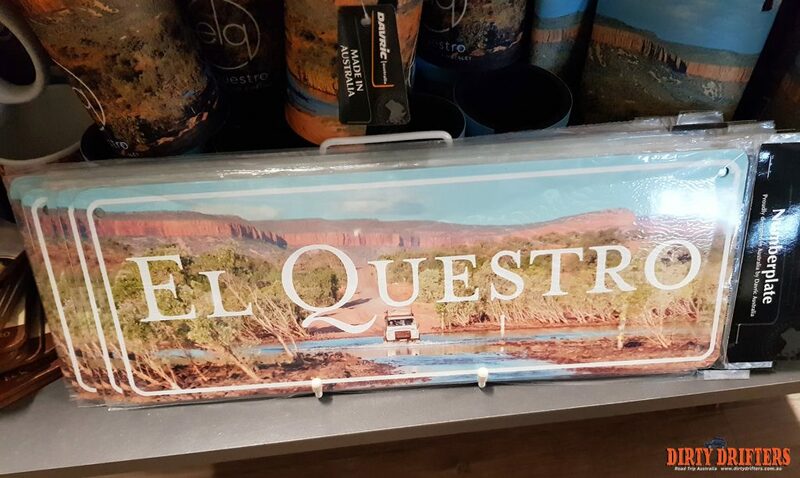 We couldn’t miss out on El Questro, the most famous homestead in Australia! The Car Gods above would soon test us though, starting with the crossing of the famous Pentecost River. Verdict? Because we have been following the weather on our journey, it was easy, water levels were low and we glided across. Now we just have several more waterways to go! Water levels were low – we arrived at the right time because we followed the weather. Welcome to El Questro Wilderness Park in Western Australia. 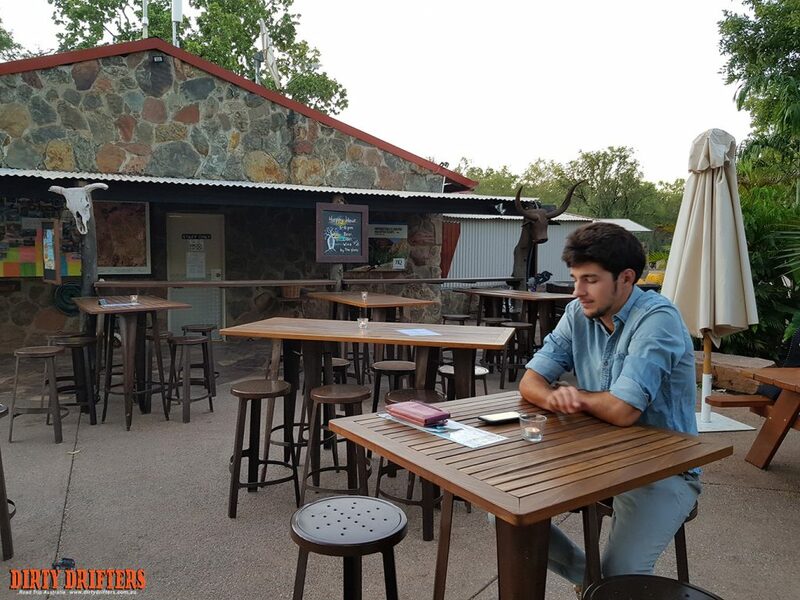 Welcome to El Questro Station, the central hub of the resort and the primary place for accommodation, relaxation and social mingling. Accommodation choices include camping, private bush camping, powered sites and air-conditioned resort-style bungalows. 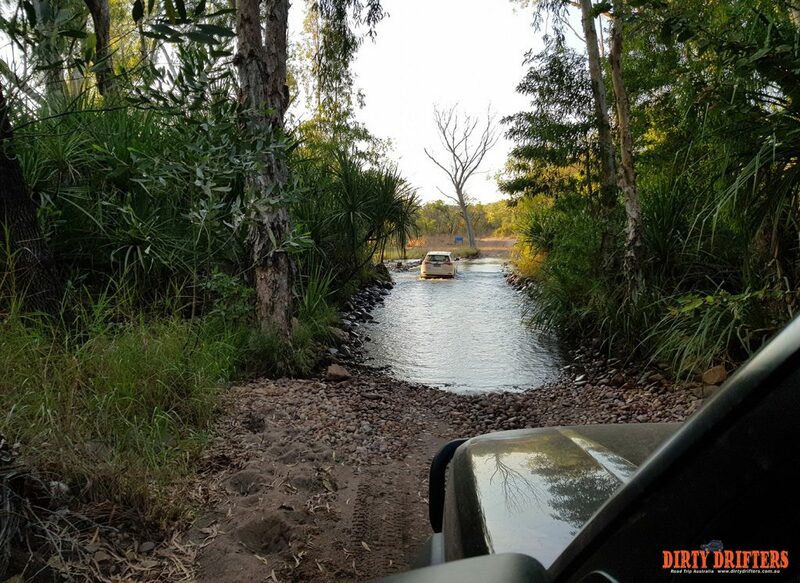 El Questro Station is set up on the banks of the Pentecost River which is crocodile-free and swimmable. 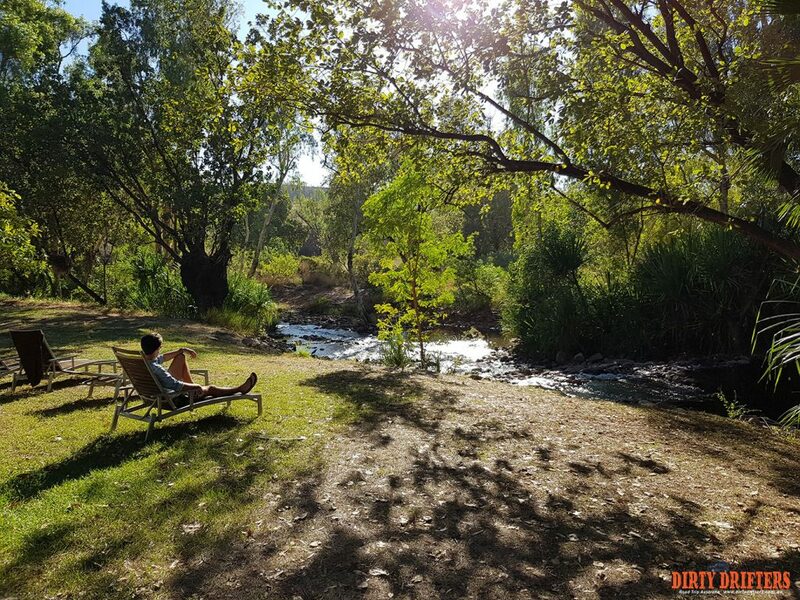 With sprawling green grass, plenty of picnic areas, swimmable holes, riverbank sunbaking and a variety of Australian wildlife, El Questro Station is exceptionally family-friendly, especially for the kids! We particularly enjoyed the Steakhouse restaurant and ‘Happy Hour’ to accompany the live music at the Swinging Arms bar! El Questro Station is currently closed for the wet season and we are now taking early bird bookings for the 2019 season. El Questro Station will reopen on 1 April 2019 and close on 26 October 2019. Acomodation includes camping, private bush camping, powered sites and bungalows. Facilities include restaurant & bar, fuel, tour bookings, parking. 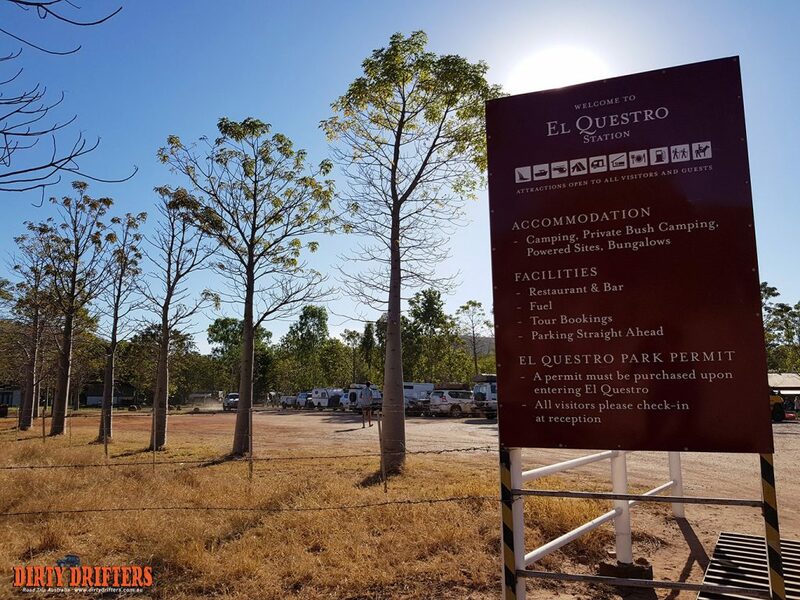 It is also important to know that a permit must be purchased upon entering El Questro, so all visitors will have to check into reception to get their stay sorted first. On our way to El Questro Station. 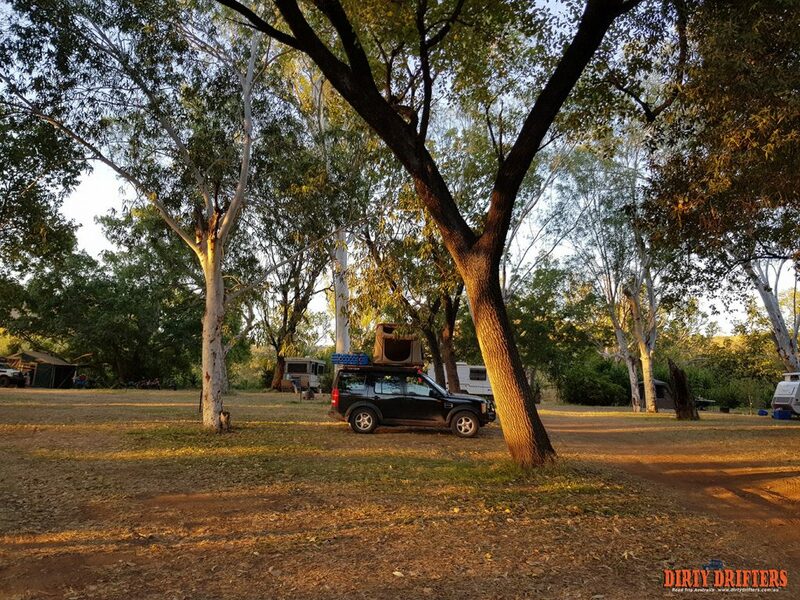 Looking to set up camp at El Questro? 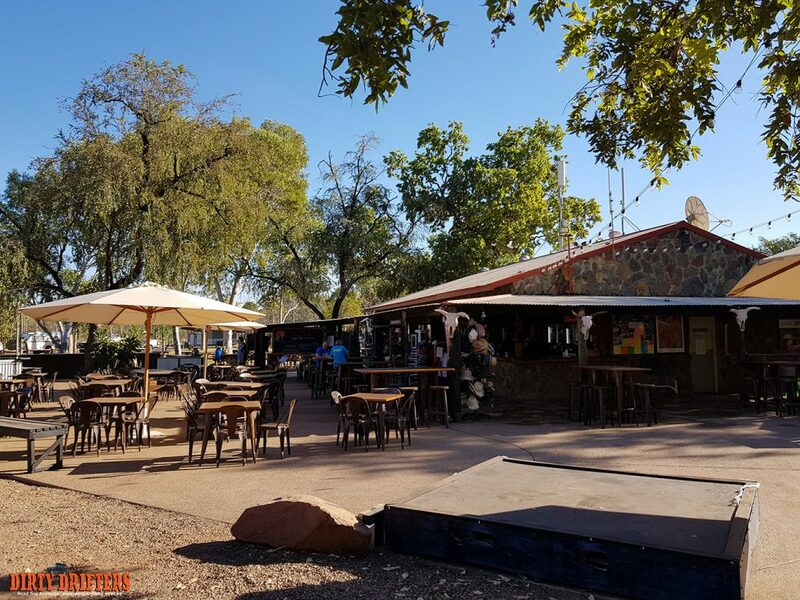 The Black Cockatoo Campground is where you will be based at; a picturesque shady campground that is in the heart of El Questro station and located close to the Steakhouse Restaurant, Swinging Arm Bar and Grill as well as the General Store. Though, it is camping right next to the flowing Pentecost River which proved to be a surprise highlight. This part of the river (that flows through El Questro) is 100% crocodile-free guaranteed and swimmable, making it popular with especially children. The swinging tree ropes provide the fun! When it comes to facilities, prepare to be impressed. The Black Cockatoo Campground boasts a very new architect-designed shower block, camp kitchens with BBQ’s and laundries. We witnessed these blocks get cleaned regularly – we could not fault the maintenance here! As for camping options, there is plenty of non-powered and powered sites available (about 60 powered sites I believe), and ample space layouts to choose from to cater for your vehicle set-up. Just note that for non-powered sites it is unallocated, meaning you can set up anywhere you want in the non-powered section of the camp. Powered sites require booking. 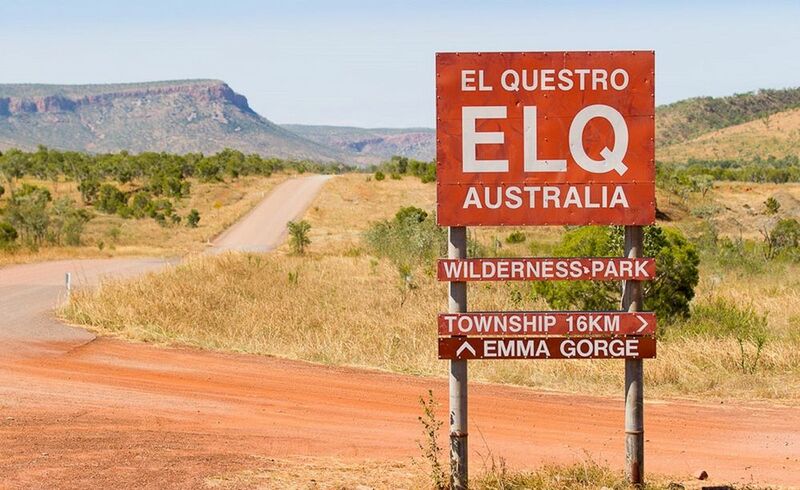 Either way – when you first arrive into El Questro Station you will need to visit the Receptionist Desk to get booked in and obtain your El Questro Visitor Permit which is a separate vehicle fee required so to access the El Questro wilderness park. Welcome to El Questro Station! This is the entry sign. The resident Donkey likes to greet everybody. Our shady camp spot in El Questro Station. The river is just behind the greenery behind us. We camped near the river that flows through El Questro Station. Yes, you can swim in it – no crocodiles here! Adam making use of the swing. Quite the lush oasis in the middle of the outback! 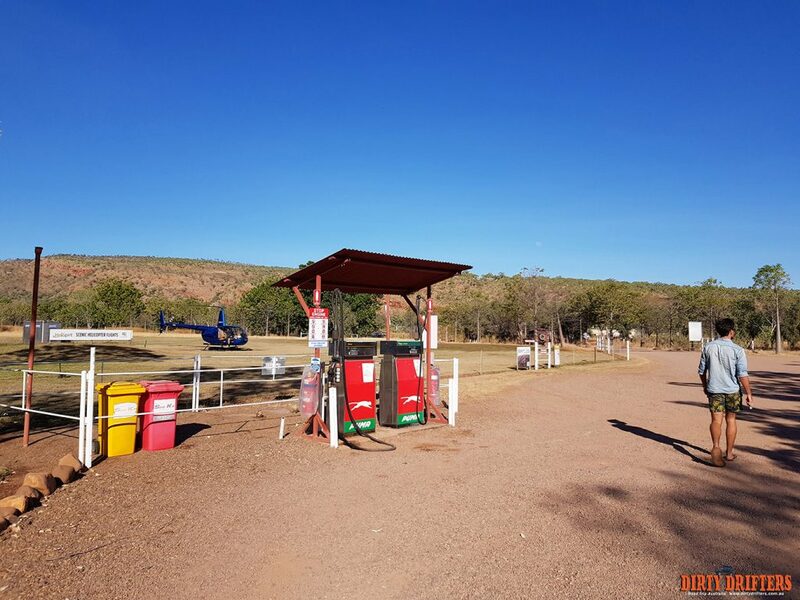 El Questro fuel station with Scenic Helicopter Flights available in the oval behind. 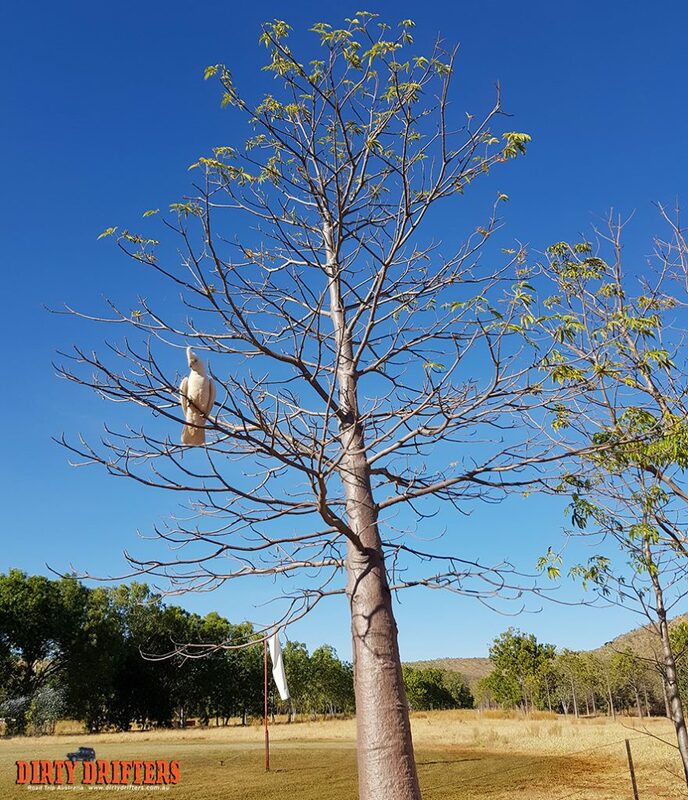 Friendly white cockatoo sitting in this young boab tree. The Bistro and Pub. This is where most of the action happens later in the evening with live music and a fire pit. Adam waiting for ‘Happy Hour’. He will be happy soon! 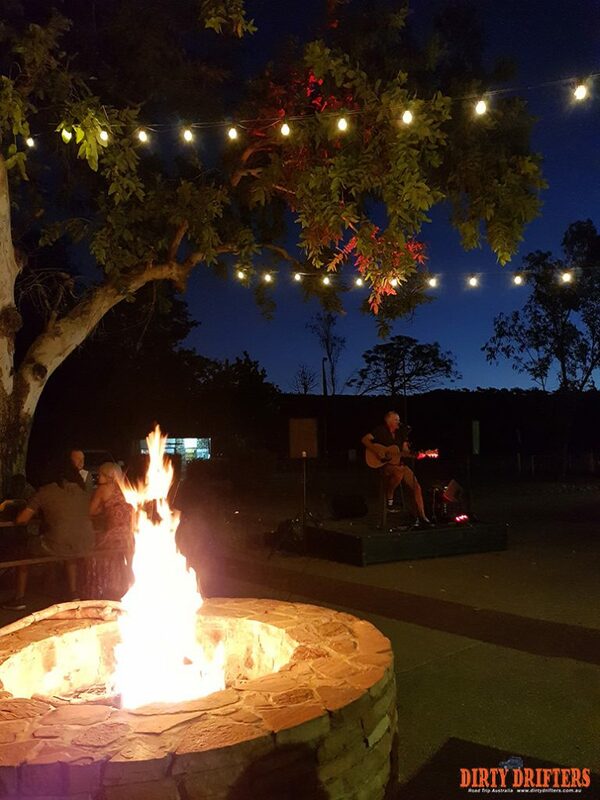 We enjoyed live music and a fire pit at the El Questro pub. Adam enjoying the flowing river. We had lunch at the restaurant just behind. The resident Donkey and Adam. 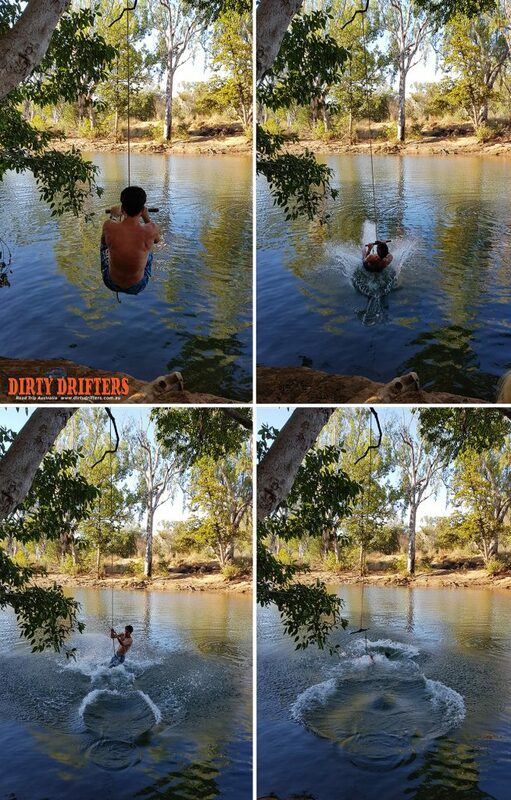 There is no shortage of fun riverways at El Questro. Back on the road. We have a spare part to pick up in the town of Kununurra! While many feel El Questro has ‘sold out’ and got too ”big for its boots” since acquiring US corporate ownership, we have seen far worse parking permit and accommodation pricing elsewhere in Australia that offered much less in natural attractions, 4wding opportunities, and hospitality services. 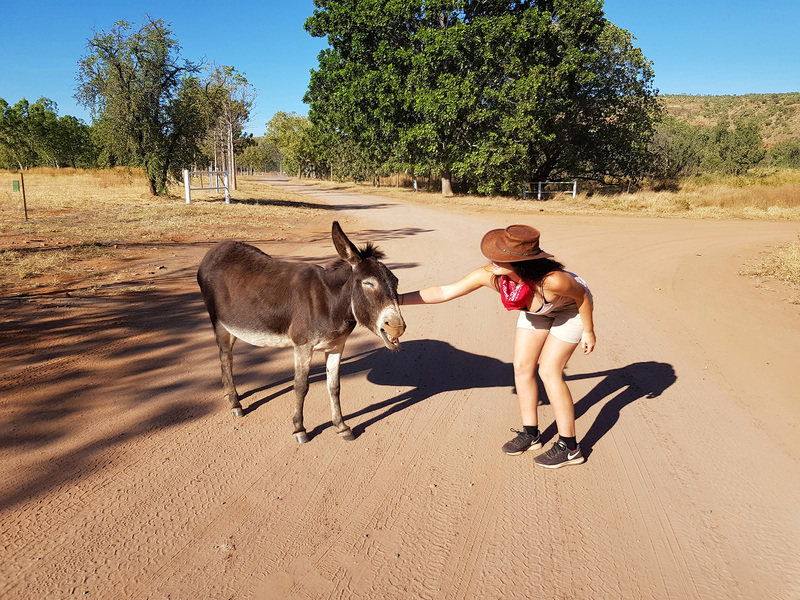 Being at the end of our Gibb River Road journey, we found El Questro station fun and lively offering live country music, wood-fired pizza, happy hour at the bar, a swimmable river and tamed donkey! Not to mention the fun creek crossings here. We really enjoyed it here and would absolutely return! But hey, different strokes for different folks! We are showcasing our favourite highlights of El Questro in a series of blogs. Stay tuned for more highlights which include Zebedee Springs, El Questro Gorge Waterfall and Emma Gorge. 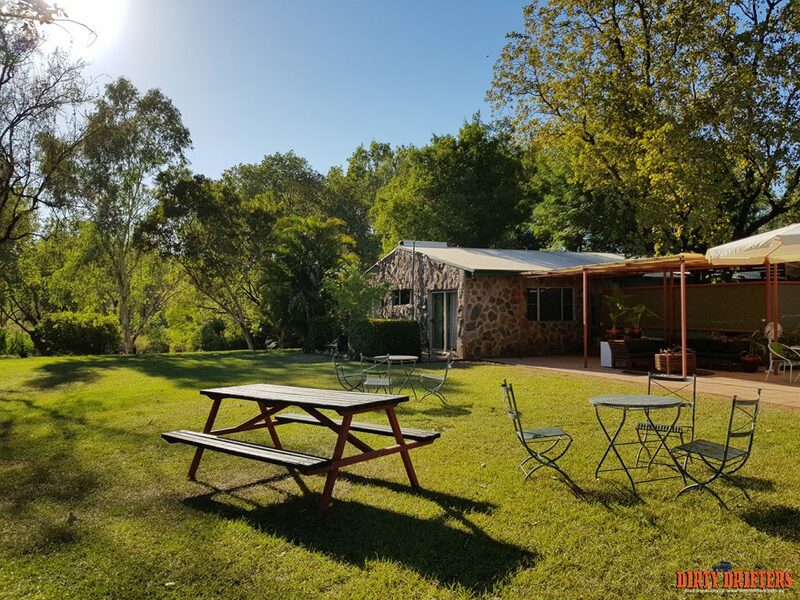 Have you stayed at El Questro Station? Let us know in the comments below. We would love to hear what your experience of El Questro was! Tahnee is a fun loving West Aussie girl with a passion for adventure. Skilled in digital marketing - she enjoys spreading quirky and informative content through blogging and social media. Her natural talents include getting overly excited 24/7, impersonating Cher in Karaoke and multi-tasking too many hobbies at once. Her active blogs are PerthGirl.com.au & DirtyDrifters.com.au. 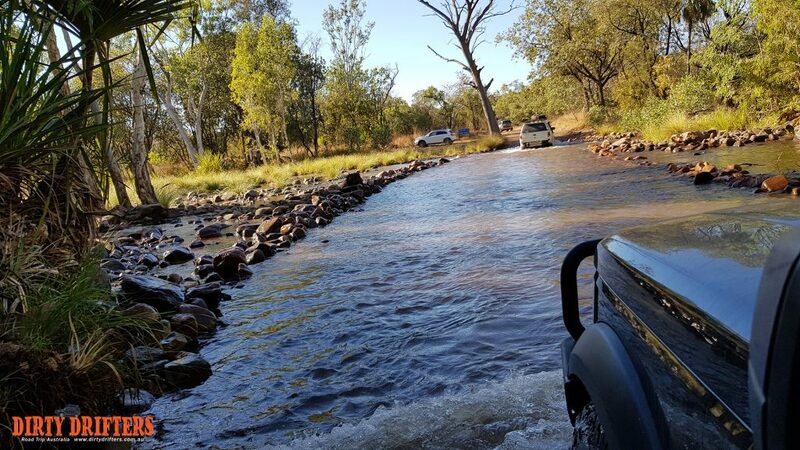 Great Aussie Adventure – Our Feature in Land Rover Monthly Magazine! Hello! 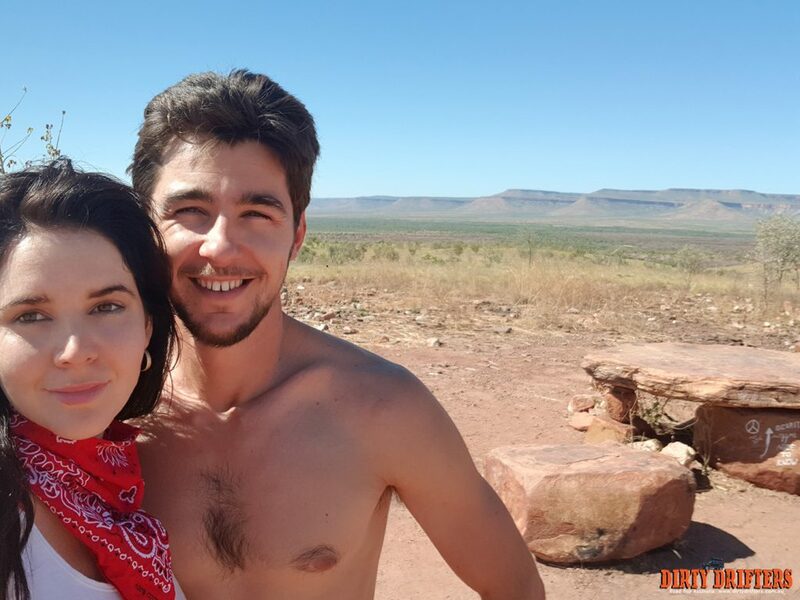 We are Adam & Tahnee, a young couple from Perth, Western Australia currently embarking on a road trip around Australia! 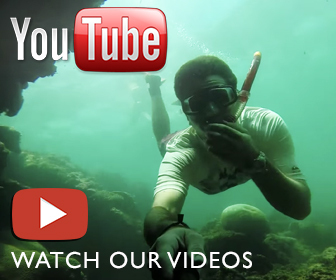 Follow our journey to see how we go! You can read more about us here. Subscribe to The Dirty Drifters for blog post updates, tips & new photos! Let's stay updated! 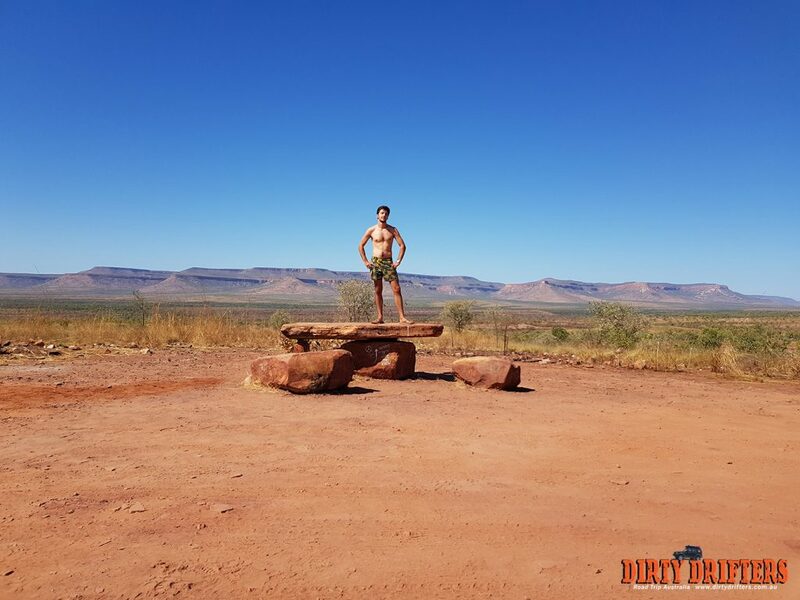 Copyright@2018 - Dirty Drifters - Travel Blog. All Right Reserved. Managed by Tahnee from Dirty Drifters.